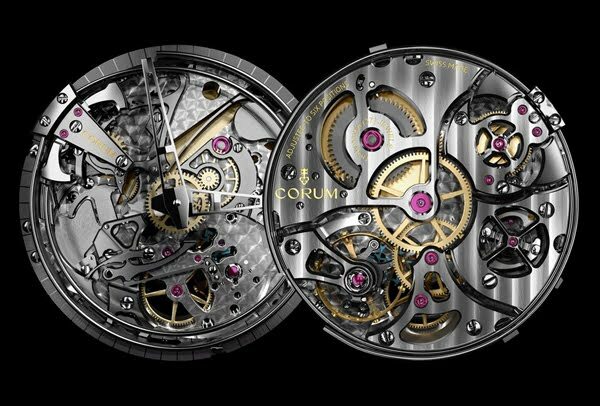 A minute repeater function is a very complex mechanism. Only few watchmakers are able to set the movement. 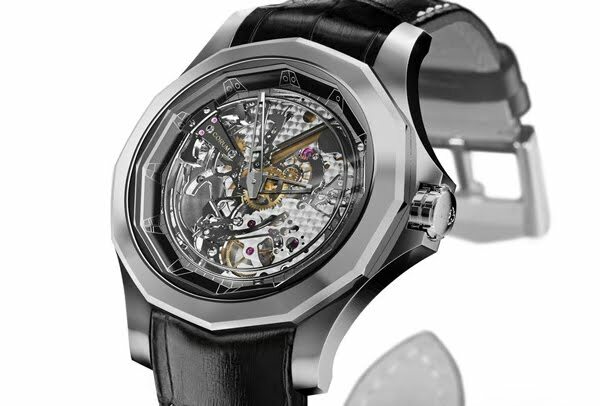 The purpose of a minute repeater function is to indicate the exact time thanks to 4 strike-hammers. Four-hammers minute repeater: two striking hammers for each chord. A world premiere. carefully. Without dial, our timepiece offers a unique view on the movement. - Côtes de Genève finish on bottom plate. - All surfaces decorated by hands.